Only an hour from Manhattan, minutes to the Delaware Water Gap, 5 miles to Shawnee Ski Mountain, and close to Camelback , Big Boulder, Jack Frost, Alpine Mountain, and the Pocono Premium Outlet Mall. Less than 5 minutes to historic and quaint Main Street with the best restaurants and shops the Poconos has to offer. Also a quick drive to Mount Airy Casino! Other activities nearby include hiking, biking, horseback riding, rafting, snowmobiling, snow tubing, ice skating, tennis, basketball, fishing, and golf. 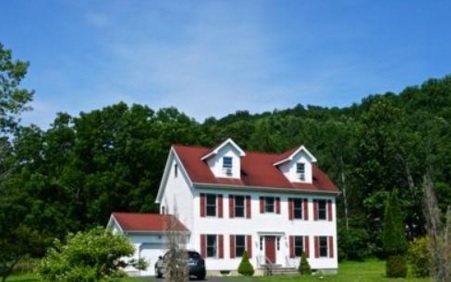 We are committed to providing our guests the highest quality homes located in the ideal places in the Poconos. In order to ensure our high standards we own and operate every single one of our homes, our family does it all from cleaning to helping build your vacation itinerary - no task is too small or to big. We grew up visiting the Poconos and know every inch of this beautiful land. We only focus on the Poconos and know the best locations, tastiest restaurants, most interesting and rewarding activities, to create the most memorable experiences. Our home is conveniently located in a safe and private community. The house is very close to charming nearby towns, zoos, water rafting, skiing, hiking, golfing, biking, and major shopping centers and restaurants. Directly behind the house is a natural lake for fishing and the community features indoor and outdoor pools, basketball ..